The sturdy steel metal construction and decorative matte bronze finish will complement any home decor. 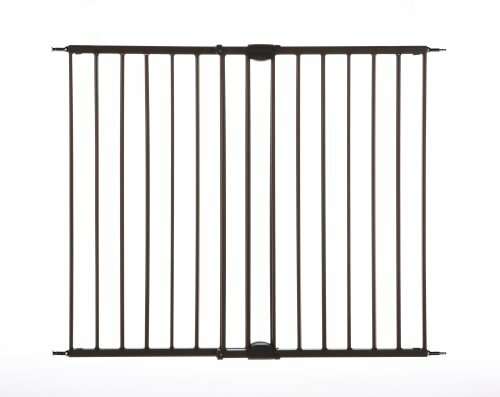 Avoid trip hazards with a child gate that swings open fully - no threshold bar to step over. Combined with an easy, one-hand operation latch, getting in and out is nearly effortless. This baby gate is ideal for a variety of room openings or at the top of stairs measuring 28.68" to 47.85" wide and is 31" high. Comes with extra secure hardware mount - everything you need to install!